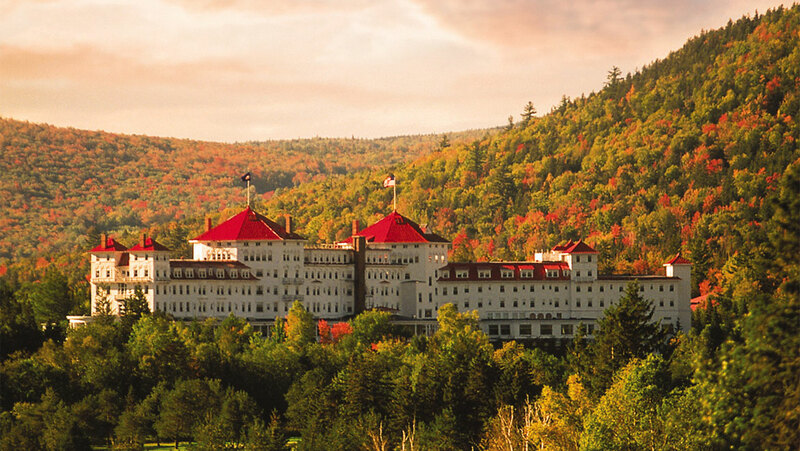 Ready for a weekend getaway in New Hampshire? The Granite State offers lots of fabulous options, including these. Franconia is another fabulous spot for escaping the chaos of the city and enjoying the beautiful outdoors. It’s home to both the Cannon Mountain Ski area and Franconia Notch, with soaring mountains rising as high as 3,000 feet on each side. Visitors can take part in all sorts of activities like hiking, biking, kayaking, canoeing and fishing, as well as riding the Aerial Tramway to the top of Cannon Mountain for enjoying the alpine conditions. The New England Ski Museum sits adjacent to the tramway and showcases exhibits on the local aspects of ski history, like a number of important “firsts” at Cannon Mountain, and the career of area native, Olympic gold medalist Bode Miller. Wolfeboro bills itself as America’s “Oldest Summer Resort.” Set along the banks of Lake Winnipesaukee, visitors can enjoy pretty much every type of water sport imaginable as well as lots of activities on land. Some of the highlights include browsing the shops and galleries on the waterfront, visiting the Wright WWII Museum and the New Hampshire Boat Museum, dedicated to all types of watercraft that figure in New Hampshire’s history, and taking a narrated trolley tour. This small southern New Hampshire town is a veritable time machine into the past. The majority of its buildings lining the main street are on the National Registry of Historic places, with the 1820 meeting house, known as one of the best Federal-style churches in the state, serving as its hub. The meeting house hosts an authentic Revere & Son’s bell, which chimes on the hour, day and night. To truly immerse yourself in Hancock’s history, stay at the Hancock Inn, the oldest inn in the state, and one of the oldest B&Bs in all of New England. It opened up its doors to weary travelers for dining and accommodation back in 1789 only six years after the Revolutionary War ended. Sugar Hill is tucked within the White Mountains, and is especially popular for romantic escapes and opportunities for outdoor adventure. Situated close to several ski centers, it makes an ideal base for a winter getaway, with the opportunity for alpine and cross-country skiing, snowboarding and snow shoeing. In the warmer months, you can ride the cable car up Cannon Mountain and hike the observatory trail, or take the Cog Railway to the summit of Mount Washington and gaze out at the vistas from New England’s highest peak. Fuel up for your daily activities with breakfast at Polly’s Pancake Parlor, famous for its homemade pancakes topped with delectable New Hampshire maple syrup. Bostonians have known where to go to escape summer’s sizzling heat for decades now – they head to New Hampshire’s White Mountains. During the peak of the Gilded Age, as many as 57 trains arrived each day to the Bretton Woods depot. Today, it still offers a host of outdoor adventure, with natural air conditioning to keep things cool in the summer, brilliant foliage to enjoy in the fall, and a snowy wonderland in the winter. Mount Washington Hotel and Resort provides an ideal base for overnight stays year-round, offering alpine and Nordic skiing, dog sled adventures, golfing on two courses, horseback riding, tennis, a huge spa, and more. When you want to relax there are plenty of options too, including sinking into one of the wicker armchairs on the expansive veranda to watch the sun go down. New Hampshire only has just under 20 miles of coastline, but what it does have is ideal for spending a summer day. Hampton Beach, the largest and most popular stretch of sand in the state is transformed into a kaleidoscope of colorful beach blankets and umbrellas, as Frisbees and kites glide through warm, salty air. Here you can look forward to taking dips in the Atlantic, building sand castles and relaxing in the sunshine. After dark, concerts are frequently hosted, and on Wednesdays, a spectacular fireworks display lights up the sky. When you want a break from the beach, the main street hosts a boardwalk lined with lots of fun shops and eateries. Portsmouth is ideal for history lovers. Dating back to 1623 as one of the oldest cities in America, it’s home to the Strawberry Banke Museum, which is located on the site of the original seaport. The indoor/outdoor living history museum traces the town’s earliest history, allowing visitors to step back into centuries past, learning about the lives of the early New Englanders with tours of restored homes from four different centuries as well as watch the working artisans. It includes eight gardens and more than 30 buildings from the late 17th to mid-20th centuries, each showcasing a slice of life from a bygone era, along with costumed characters and traditional craft demonstrations. Squam Lake is most famous for having been the setting for the 1981 film “On Golden Pond,” which is framed by the scenic White Mountain foothills. It serves as a nesting site for common loons, and the summertime is ideal for viewing them in breeding plumage, as well as offering lots of pretty picnic spots and the chance to fish for rainbow and lake trout, bass, and more. At the Squam Lakes Natural Science Center you can get up close to local wildlife along the Gephart Trail, which includes bobcats, mountain lions, a bald eagle and other creatures in trailside enclosures. This is also where you can sign up for a boat tour on the lake, with pontoon cruises that include viewing the sights from the hit movie, sunset options and more.